Cullen and Karly are both team ropers, and met through the rodeo circuit. 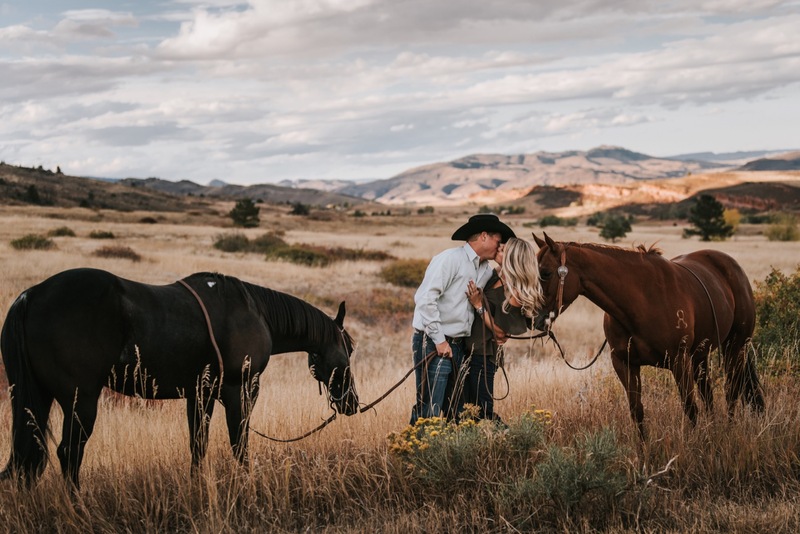 It was an easy decision to incorporate their horses into their laugh filled engagement session. We love this session’s moody feel and the tones of the red rocks found on Horsetooth Reservoir outside of Fort Collins, CO.